Hambledon Vineyard is the oldest commercial vineyard in England, founded in 1952 when Major General Sir Guy Salisbury-Jones planted the first vineyards. 47 years later in 1999, the current managing director acquired a somewhat neglected vineyard with a view to restoring it to its former glory. Today Hambledon comprises over 60 acres of vineyards and a new state-of-the-art, fully gravity fed winery that was opened in July 2013 by HRH Duchess of Cornwall. 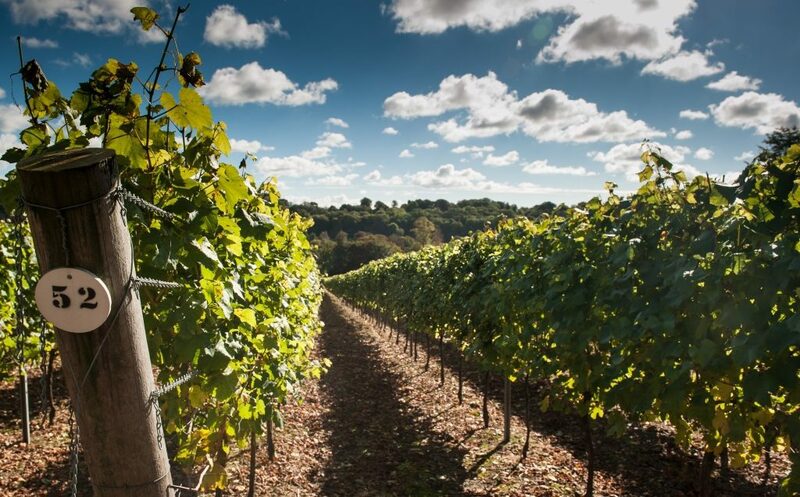 Aside from the onsite sparkling wine-making activities, Hambledon Vineyard regularly opens its doors. Visitors can experience ‘behind the scenes’ tours and special events in the vineyard’s beautiful setting in the South Downs. Directions from London and Portsmouth: Exit A3 (Southbound from London, Northbound from Portsmouth) at Clanfield and follow directions for Clanfield. After 1 mile follow the road round to the left by The Rising Sun pub. After 200 yards turn right (opposite vintage Jaguar Showroom), and take the road to Hambledon. After 3 miles stay on the road as it bends 90 degrees left by the famous Bat and Ball pub at Broadhalfpenny Down (Hambledon’s famous old cricket ground). Stay on the road and follow for 2 miles to Hambledon. Directions from the West: From the A32 take the B2150 between Meonstoke and Droxford, direction Hambledon. After 2.5 miles turn left into Brook Lane. Follow for 1.2 miles until reaching T-Juntion. Turn left to Hambledon then follow directions above marked. If coming from the B2150 either from Denmead or from the A32 then please circumvent the village centre by taking Brook Lane as guided in by brown tourist signs.